Numbers. Mathematics and their laws. We use them, and most of us take them for granted. But where do they come from? 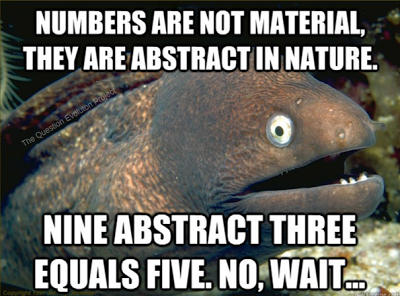 Like the laws of logic, numbers are not things, they are not material. They represent material things, but the laws of math and the laws of logic transcend material things; they are concepts. Yet, they exist independently, and are not subject to time, distance and culture. Again, where did the laws of mathematics come from? You can add to your knowledge by reading the rest of "Evolutionary Math?"